Tf2 custom particles editor palette mesed up! Discussion in 'Mapping Questions & Discussion' started by Grubzer, Jul 22, 2016. When i'm launching my tf2 particle editor (tf2 with -tools argument) sometimes particle color palette messes up. But particle color varies from some kind of blue to red. Am i doing something wrong? There are 2 color inputs for particles. The particles will be a random shade of color between both of those colors. Set both of them to the color you want so that all the particles show up as the said color. even that color palette messed up! I am selecting yellow, but particle color is red! 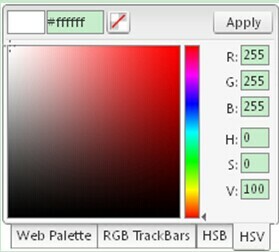 You could try typing in the RGB value. I cant see a reason as to why the particle editor will always input red. I found solution. In properties tab colir parameter is messed up. I will use color random instead. And also, what happend to tf2maps.net at 2 a.m New York? Is it offline just for me? The servers were on fire. Almost. So much stuff got uploaded at once it overloaded everything and then crapped the bed for 9 hours straight. But it's back now. Is it because of 72hr contest?